Family Fun Days provides an opportunity to get together with your friends in a relaxed setting. They will take place at Chabad and feature activities for the kids and a dinner for the whole family. These Fun Days will also be the time for you to get a preview of the upcoming programs at Chabad. 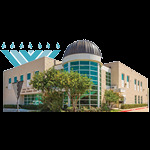 Please Click Here for more information about our KidShul.